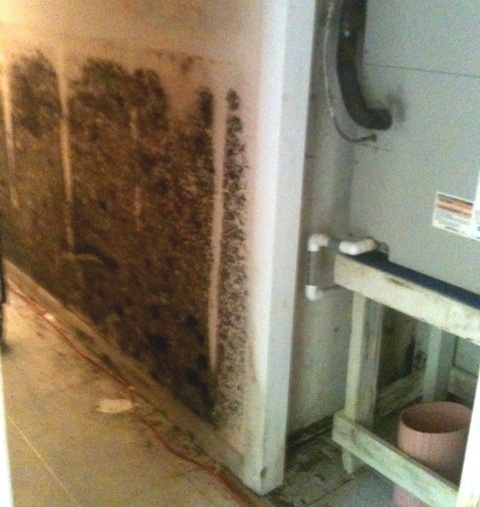 Basement mold removal is an issue for many homeowners since basements are prime areas for the growth of harmful mold. Many homeowners will one day be faced with how to best remove basement mold due the dampness and occasional flooding in many basements. Unfortunately, removing basement mold can be quite a challenge. Well, it’s unsightly and it smells bad, making it difficult or unpleasant to use your basement. Even more concerning, though, mold poses health risks to you and your family members. If you or members of your family have been feeling ill a lot lately, it may be due to the mold in your basement. Removing the mold can have a definite positive impact on your health. It can decrease symptoms of asthma and sinus infections, it can improve your energy level, it can relieve feelings of depression, it can reduce your risk of respiratory infections and improve your overall feeling of health. If you’ve got mold in your basement, you need to remove it. There are numerous techniques people try to remove basement mold. Some are more effective than others, though. The U.S. Environmental Protection Agency suggests scrubbing non-porous surfaces with water and detergent, then allowing the areas to dry completely. Carpets and other porous materials may need to be thrown away. The EPA recommends consulting a professional if you’re not sure how to clean an area or if an item is particularly valuable. Some people try using bleach and water or hydrogen peroxide to remove basement mold, but those substances may not be effective in all cases, and may damage the surfaces you’re trying to clean. They can certainly strip off paint or other finishes. The EPA also recommends wearing protective gear when performing basement mold removal. Wear an N-95 respirator (available at most hardware or home improvement stores), goggles and gloves. If this sounds like a lot of work, it is. If you want to simplify things, just call in a professional to remove basement mold for you. Be aware that after you remove the mold, you may need to paint or do some other touch-up work where walls or ceilings have been discolored by the mold. Air out the area as much as you can, too, to get rid of the moldy, musty smell. You can spray air fresheners, but actual fresh air will do a better job. Unfortunately, it may be hard to air out the area because there often aren’t many windows in basements and other areas susceptible to mold problems. Open what windows you can and position some fans to help draw out the dampness and smell. You may also need to purchase an air purifier and/or a dehumidifier. The most important thing to do, though, is to fix whatever is leaking or wherever water is coming in. There’s no point in cleaning up mold if the area will remain damp because mold will just grow back. If you’d like to have a professional remove basement mold for you, just follow this link to get a List of Professionals in your area. Even if you prefer to try to handle the job yourself, a professional will give you a free assessment of the problem and some free advice about how best to handle it. He or she can also recommend a cleaning product that will be most effective in your particular situation. A professional can also tell you which items must be discarded because they simply cannot be saved. Finally, a professional can perform a test after cleaning up the mold to make sure it’s all gone. Leave just a little bit behind and you could soon be dealing with an overgrowth of mold again. Follow this link for more information on dealing with basement mold. Mold in basement can make you and your family sick and should be dealt with as soon as possible. Here is information on basement mold remediation.